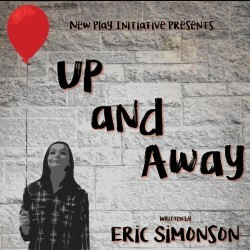 Up and Away is a drama set in rural Wisconsin. Aspiring YouTube star Madison McDoogle's attempt to rise out of poverty and isolation is threatened by drug abuse and addiction. The play serves as a timely call to action about the rising heroin epidemic and the lives it impacts. Playwright Eric Simonson is a writer and producer for Amazon Original shows The Man in the High Castle and Homecoming, and won an Academy Award for Best Documentary (Short Subject). His Broadway credits include Lombardi, and The Song of Jacob Zulu, which was nominated for six Tony awards.